On March 23, 2018, Congress passed critical funding legislation that included repealing the tip pool rule that barred certain employers from setting up tip-pooling arrangements under which tipped employees can share tips with their non-tipped colleagues. The bill also includes a provision that ensures workers will receive all their tips. Moving forward, it is legal to tip pool so long as it does not include supervisors, managers or owners. 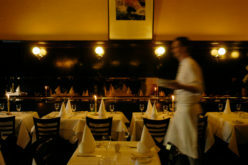 The new rule allows employees who do not traditionally receive direct tips, such as restaurant cooks and dish washers, to participate in mandatory tip pools. These heart-of-the-house employees contribute to the overall guest experience, and under the rule they would also be able to benefit when guests reward for that experience. 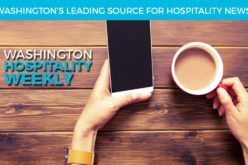 Read our statement on this issue from President and CEO Anthony Anton at https://wahospitality.org/blog/washington-hospitality-association-ceo-anthony-anton-issues-statement-on-proposed-federal-tip-pooling-regulations/. Contrary to some media reports, tips in Washington state have always been the property of employees and the proposed rule would not allow Washington employers to retain tips. Case law and Washington’s new minimum wage law, under Initiative 1433, identifies tips and gratuities as the property of employees. Owners and managers are also legally prohibited from benefiting from tip pools. 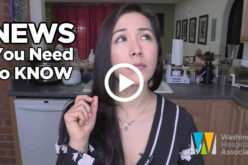 Increasing labor costs and other new mandated costs present significant challenges to Washington restaurants, which operate on extremely narrow profit margins. Tip pools help alleviate disparities in compensation within a restaurant’s team. Allowing heart-of-the-house employees to benefit when guests tip is the right thing to do because heart-of-the-house employees also contribute to the success of the guest experience. We look forward to the Department of Labor clarifying gray areas. This article is an excerpt from the Handbook for Excellent Restaurant Operations (HERO), published by the Washington Hospitality Association. Want a hard copy of the whole manual? It’s one of the many benefits of becoming a member! Find out more about joining the Washington Hospitality Association here.